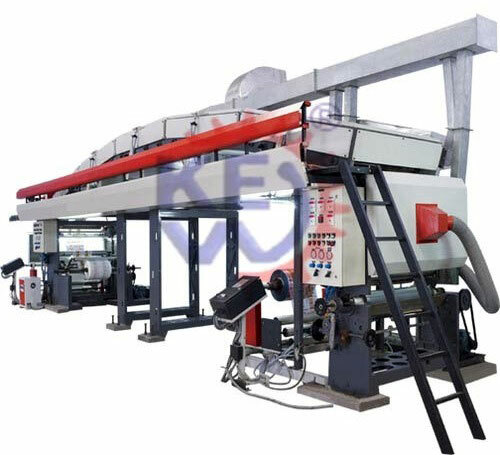 KEW manufactures, exports & supply Lamination Machine which laminates various types of materials like Plastic, Paper, LDPE, BOPP, etc. from Ahmedabad, Gujarat, India. We have been successfully manufacturing, exporting & supplying all types of Lamination Machine, Coating Machine since last 25 years from Ahmedabad, Gujarat, India. We are the winner of 3 times National Award and 2 times International Award for Quality manufacturing. 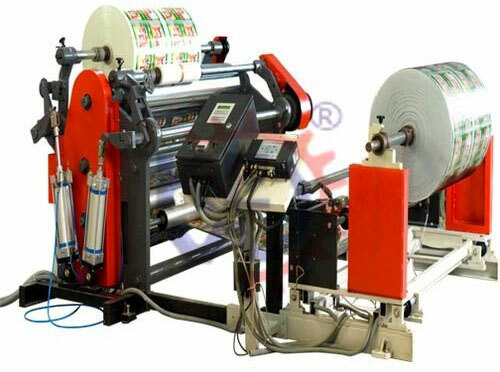 For Lamination Machine, we have processed all types of material like Polyester, BOPP, LD, PVC, Paper, Film, etc. We have more than 100 installation of Lamination Machine in India and overseas like Saudi Arabia, UAE, Dubai, Sharjah, South Africa, Nigeria, Ghana, Congo, Kenya, Zambia, Sri Lanka, Bangladesh, Malaysia, Pakistan, Nepal, Russia, Thailand, Indonesia, Brazil, Colombia, Venezuela, Argentina, Mexico, Canada, etc. 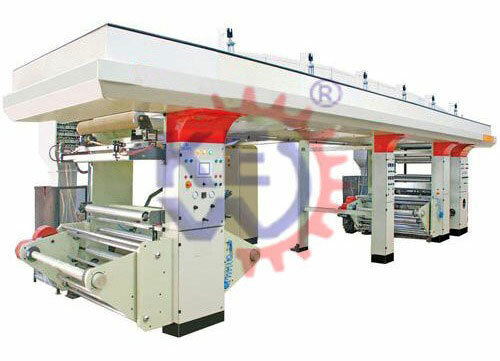 Film Laminating Machine use polyester (PET) film as its base film, adhesive (EVA resin) is evenly applied on one side of the polyester (PET) film. After special processing, it turned into advanced packing material, and it is widely used for the laminating and protection of material like identification card, historical accounts, photos, pictures, credit cards and important documents. After laminating, the material has the unique function like water resistance, alteration resistance, damp resistance, worm resistance and mildew resistance on general acid-base. What's more, it is stiff, smooth and pleasing to one's eyes, since it has good transparency. 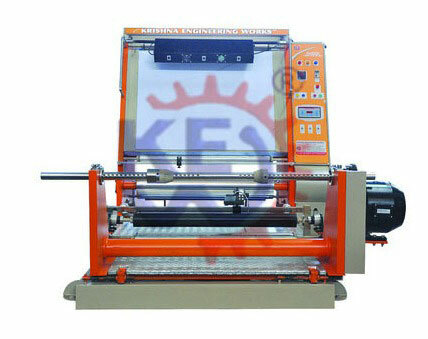 KEW offers High Speed Industrial Laminating Machine with great accuracy and organized performance. The machine is easy to handle, install and operate. One & One Slit type counter air flow arrangement, Divided equally are placed against roller for proper web support. Exhaust are distributed through-out the length of drying chamber & individual exhaust duct for each zone. Digital temperature controller with indicator & PT 100 sensor for each Zone. Inside heating for Nip Steel roller. 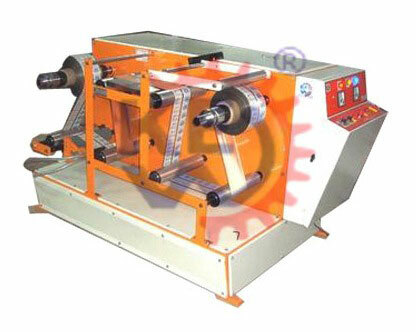 Heavy duty Shaft types fix Rewinder with motor. KEW SRA Web system for controlling the Web after the drying tunnel & two web for primary & Secondary unwind. Machine Speed	: 60 – 200 M/Min. Material to be Laminated	: Polyester/Poly/Paper/BOPP/Aluminum Foil/HDPE Fabrics etc. Tension control Brake Unit with load cell feedback (Electrical/Pneumatic). Moveable unwind with web guide. Pre – Heating / Exhaust. Load cell feedback for coating & Nip. Pneumatic lifting of top door. Cat walk for full length drying chamber. Diesel / Coal or Wood Fired Air Heater / Thermic fluid Heater with Blower. A. C. synchronize Drive with Load cell. May bar / Reverse roll, Air knife Three roll. Extra blower & Exhaust Individual for each zone. Ink Circulating with Viscosity Control. Touch Screen Operated control for all drive.